Stress, muscle tension and lack of energy can all be addressed with a customized massage treatment. After a thorough consultation, your massage therapist will provide you with the best combination of products, personalized Aveda aromas and massage techniques, which can include Swedish/relaxation, deep tissue, foot reflexology, acupressure, chakra techniques, subtle energy work, pregnancy massage or hot stone-the possibilities are limitless. Massage treatments are recommended on a weekly, monthly or quarterly basis to achieve and maintain optimal results. Your massage therapist will develop a comprehensive treatment plan designed to meet your individual needs and expectations. Time to quiet your mind and attend to yourself. Is your body in need of more than just pure relaxation? Deep tissue targets the deeper layers of muscle and connective tissue. Your skilled therapist may use fingertips, knuckles, elbows and forearms to loosen the fibers of the muscles and increase circulation. The same amazing experience as our Asha Massage, only better. Enjoy this pleasure with your special someone in a private spa room, side by side. 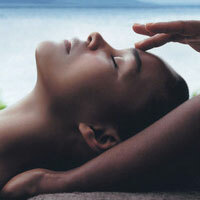 Calm body, mind and spirit with this relaxing, all-encompassing massage experience. AVEDA Sensory Ritual 60-minute massage combines the natural therapeutic properties of the essential oils and the healing power of massage therapy thus creating a tranquilizing effect on your mood. Oils are the concentrated essences taken from flowers, fruit, seeds, leaves and bark of plants. With this soothing massage experience attain inner balance and heighten introspection. Allow the sensation of hot, smooth eco-friendly Himalayan salt stones to melt away the stresses of everyday life. The Himalayan salt stones, mined from the Himalayan Mountains in Pakistan, provide an array of benefits from higher mental alertness to protection against germs in the air, when placed on the table lined up with the chakra points along your back. While you lay on them, additional salt stones are used as instruments of deep tissue massage. This experience creates balance and relaxes the body by opening its energy channels and brings you to a profound state of relaxation. Key therapeutic oils are applied to the feet – focusing on reflexology points related to the vertebrae. Drops of essential oils are sequentially dripped gently along the spine and then with specific massage techniques, the therapeutic grade essential oils are worked along the spine where they are absorbed. After the therapeutic grade essential oils have been applied, a hot wet towel is placed along the spine to help the body absorb the oils. The entire process takes about 1 hour to complete, but the therapeutic grade essential oils will continue to work in the body for 5 to 7 days following treatment. These oils, which are high in antioxidants, are also mood elevating and antiseptic. Around the world for thousands of years, particularly in India and its neighboring countries, coconut oil has been used during massage to keep skin gleaming, smooth, and beautiful even into a person’s golden years. 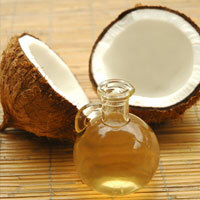 Coconut oil is rich in vitamin-E, your skin’s best friend, which keeps your skin rejuvenated, young, and healthy. During this relaxing experience, as skin is rubbed with coconut oil and muscles are massaged with light pressure, the circulation of blood below the skin and in the muscles is stimulated, which brings more oxygen to tissues to revitalizing them, speed up healing and growth, and increase the rate of metabolism. Furthermore, as coconut oil seeps into the skin, it prevents moisture from escaping, keeping skin soft, smooth, and hydrated. This coconut oil that is collected under the skin, when it reacts with sunlight, also aids in the formation of Vitamin-D, which helps maintain strong bones and regulate the immune system. Our one-of-a-kind coconut massage will pamper you, lower your stress level, leave you feeling healthy and bring an instant glow to your skin. Now you can experience this magnificent ancient healing technique and feel its powerful results. Massage cupping using suction and negative pressure to loosen adhesions, release stubborn knots, bring blood flow to stagnant tissue and skin, offer relief from chronic headaches, and drain excess fluids and toxins. You will leave with your nervous system stimulated and your mind in a profound state of relaxation. While cupping is not painful, it may leave “cup kisses” or markings that resemble bruises on the cupped area. These markings are part of the therapeutic process, and will diminish after a few days. Who doesn’t need an incredible massage that has been specifically designed to “Fix” Stress? This massage experience utilizes the power of Essential Oils, Swedish Massage, Deep Tissue Massage, Foot Reflexology and Acupressure Points to help your mind and body recover from the negative effects of stress and worry. Aveda’s signature “Stress-Fix” Aroma blends the scents of Lavender, Lavandin, and Clary Sage, which have all been clinically proven to reduce the feelings of anxiety and strain. When this aroma is partnered with Swedish Massage, which calms and soothes, and Deep Tissue Massage, which targets highly stressed areas, your tension will slowly melt away. As a final stress-reliever, this experience closes with Foot Reflexology, which stimulates specific body points, and Acupressure, which increases Energy Flow. These 5 calming experiences work in perfect harmony to create a memorable and soothing massage experience. This Ancient Chinese healing art of Reflexology massages specific pressure points on the feet in order to re-establish the flow of energy throughout the body. Our feet are a map of our body and specific pressure points will positively affect the corresponding areas of the body. This 30 minute session will take you a long way towards better health and wellness. Help relieve sinus pressure and pain with this 30 minute experience. A comprehensive head, neck and face pressure point and lymphatic drainage massage are paired with a pure essence steam inhalation. Clarity and balance are restored. Our deep-tissue sports massage is designed for those who are active but, not necessarily an athlete. Focus is on prevention of injury and enhancing muscular performance. Our expert therapist will use massage and facilitated stretching to improve flexibility and increase range of motion. An innovating massage that focuses on the 7 chakra energy centers within the body. 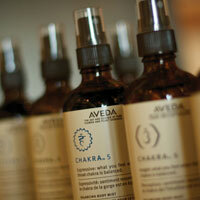 Aveda’s Chakra Balancing Blends are used to uplift, calm and enhance well-being. Experience a variety of massage techniques including deep tissue massage on the back and spinal muscles, chakra reflexology massage for the feet, and energy work for the chakras. Finish with a guided meditation to enhance the benefits of stress relief, decreased muscular tension and increased energy. This body treatment takes your skin to a whole new level of soft. Using our essential oils, composition and hydrating lotions, your body is moisturized from head to toe using a combination of acupressure, effleurage and deep tissue massage resulting in an extremely moist and relaxed body. Allow the sensation of hot, smooth river stones to melt away the stresses of everyday life. The hot stones are placed on the table lined up with the chakra points along your back. While you lay on them, additional hot stones are used as instruments of deep tissue massage. This experience creates balance and relaxes the body by opening its energy channels and brings you to a profound state of relaxation. Give special attention to yourself and your baby before that precious person arrives. This gentle treatment that stimulates circulation, improves elasticity, and eases lower back pain and water retention. *Please note: Guests must have completed their first trimester in order to experience this service and should always consult with their doctors prior to receiving any massage. Your travel is legendary, and it takes you away from home more than you may like. Indulgent and exceptionally relaxing, our signature massage stimulates circulation and soothes tight muscles. Our gifted therapists adapt their eclectic techniques to your particular needs and preferences. In the practice of Zen Buddhism, one aims to be in the moment. Bring yourself into this moment with this customized massage specifically geared towards balance. Tension dissolves, leaving only comfort and well-being behind. Our Road Warrior massage will infuse you with energy and spirit to be at your best on the road and at home. He’s always on the go: work, eat, sleep, repeat. For too many men, this is what the day-to-day routine comes down to. Our 75 minute experience specifically for men relaxes tension and soreness from work or play and soothes away the rough edges. Massages are more than just indulgences, they are proven health and mood treatments, and they are essential in giving your body and mind a break from the pressure of everyday life. De-stress after a long business flight or help reduce pain and soreness from over enthusiastic workouts. This head-to-toe full body experience begins with a custom sensory journey to determine his aroma preference. Next, a warm, sole-soothing, hydrating foot wrap is applied, followed by a full body Swedish massage designed to relax his most troubled muscles. Next our gifted therapists incorporate a calming reflexology treatment, using an ancient Chinese blend of foot massage strokes designed to stimulate circulation, restore balance and detox down to the tips of his toes. A deep scalp massage acts as the grand finale to this unforgettable experience.